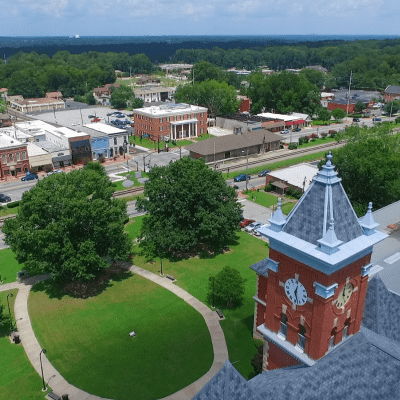 As the setting of Margaret Mitchell’s “Gone with the Wind,” Jonesboro attracts a steady flow of visitors looking to experience the city’s quintessential charm. Originally named Leaksville, the city was renamed around 1845 in honor of railroad engineer Colonel Samuel Goode Jones. Thanks to the city's railroads, Jonesboro became a market hub, serving surrounding Fayette and Henry counties. Tour the Road to Tara Museum to see items from “Gone with the Wind” along with Civil War artifacts.